Do you need to train your employees on ISO 9001:2015? Do you want to save time from creating the ISO 9001 presentation? Do you want to kick start your ISO 9001 Quality Management Program? 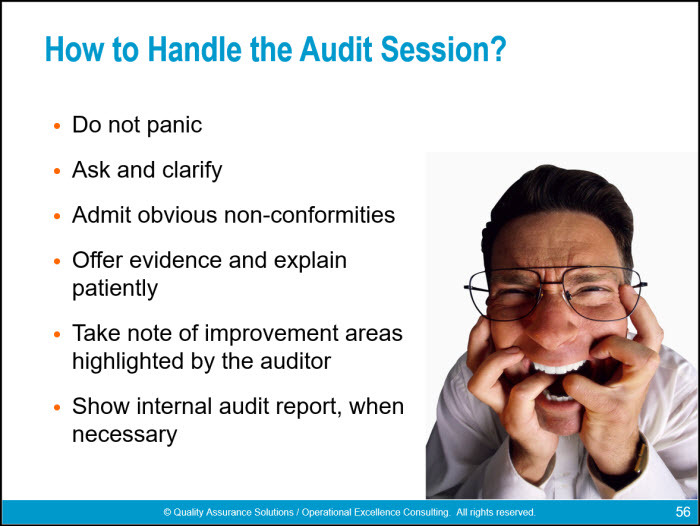 Are you preparing for an ISO 9001 audit? 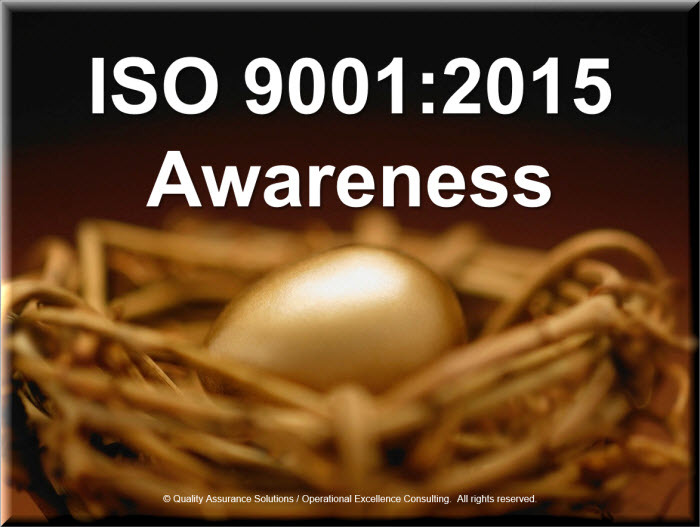 This professional presentation on ISO 9001:2015 awareness saves you a significant amount of time. If you created this presentation yourself you could easily spend 24 to 40 hours just making the slides. See below for pictures of some of the slides. 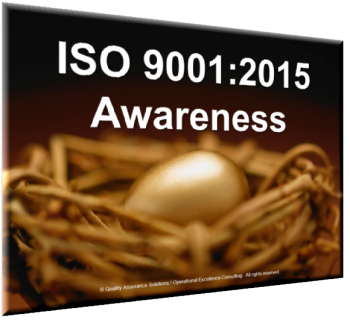 Use this PowerPoint and assure you don't forget the important ISO 9001 points during your ISO 9001 awareness training. Thousands of companies in over 100 countries adopted ISO 9001:2008 as their quality management standard. Now these and new companies are pursuing ISO 9001:2015 certification. Why? 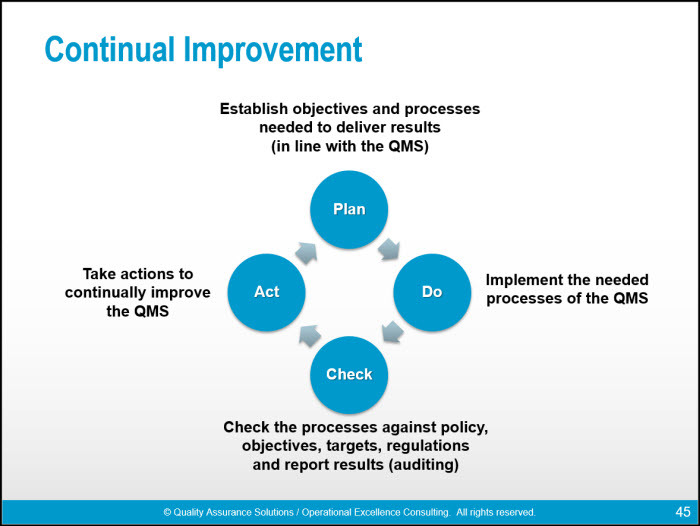 ISO 9001:2015 helps your company control quality, save money and customers expect it. ISO 9001 applies to all types of organizations. Many companies struggle with teaching the basic concepts and awareness of ISO 9001 to their employees. 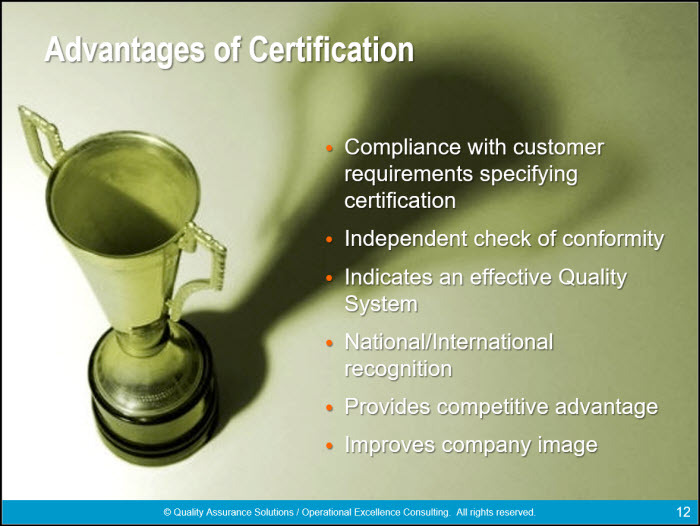 To become certified, all employees within your organization needs to be aware of the basic requirements of the standard. Because of resource constraints you may not have the time to create the presentation (which takes the most time when teaching the material). This PowerPoint solves this problem. When you're done teaching this material to your employees, your employees will be much more inform and comfortable with ISO 9001. Deliver this professionally-developed presentation to new hires, potential auditees and other employees as a 1-2 hour briefing to create awareness on the ISO 9000 quality system. 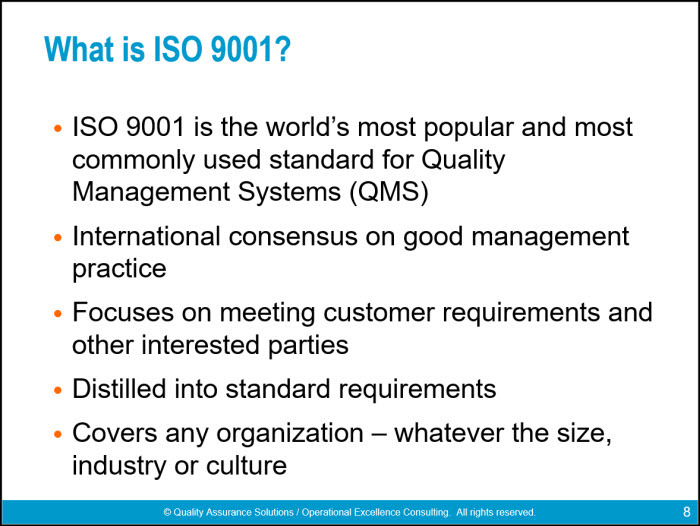 Use the slides in a workshop for managers and staff of the organization who need to understand the basics and importance of the ISO 9001 management system. How Does ISO 9001 Work? 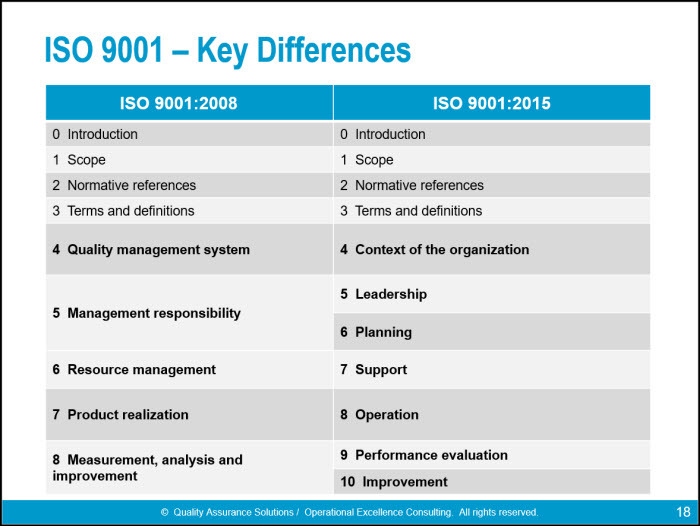 Why is ISO 9001 Revised?